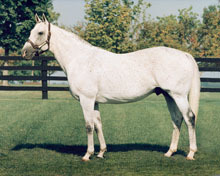 Champion Sire EL PRADO has sired 121 stakes horses, 64 stakes winners and earners of more than $60,000,000. El Prado has done especially well when bred to mares by sons of Roberto. 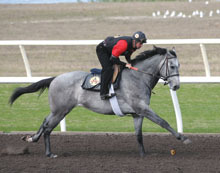 This El Prado colt is out of the two-year-old New York Grade 2 mare SPEED TO BURN, by Roberto’s son Red Ransom. Speed to Burn is also a half sister to El Prado’s multimillionaire son Artie Schiller, winner of the Breeders’ Cup Mile-G1. 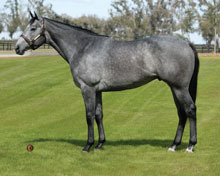 Both the second and third dams of this exciting colt are Grade I winners and Grade I producers. This is the Classic family of Kentucky Derby-G1 and Breeders’ Cup Classic-G1 winner Ferdinand.